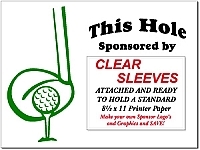 Our best sellers are our sleeved golf tournament sponsor signs because you can use them over and over. We have sold thousands of these and our customers love them. 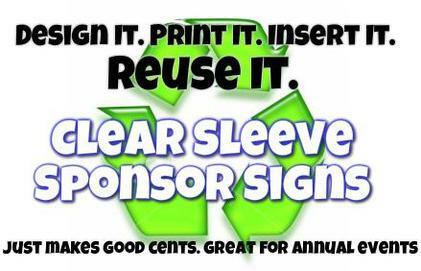 Great for annual tournament and fundraiser events. 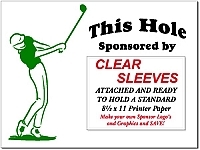 18 Hole Kit (18 Signs) 12” x 18” Golf Sponsor Signs with Clear Plastic Sleeves and Stakes and Free Shipping! 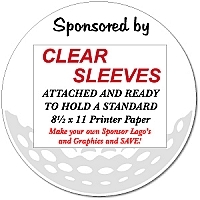 18 18” x 24” Golf Sponsor Signs with Clear Plastic Sleeves and Stakes and Free Shipping!